There are few guarantees on a worksite, but every company must be able to guarantee the safety of their employees. Not only is a focus on safety important to recruit and retain an excellent workforce, it impacts your company's bottom line due to the high cost of insurance. Reinhart Grounds Maintenance helps you escape uncertainty. As one of the largest, most capable, and most experienced grounds maintenance companies in Central Illinois, you can trust that your parking lot has been plowed shortly after a snowstorm and that you have access to needed roads and sidewalks. We have the team, experience, and processes to make your job easier, employees safer, and keep your worksites looking beautiful. We pride ourselves on being Central Illinois' most consistent and reliable provider of grounds maintenance services. We work very well with third parties and are experienced with purchase order systems, assisting with paperwork, and catering to the unique processes of your company. Led by a Six Sigma Master Black Belt Certified co-owner, we engineer an efficient maintenance program that will keep your site safe and free of common risks that can impact insurance costs and your employees' wellbeing. 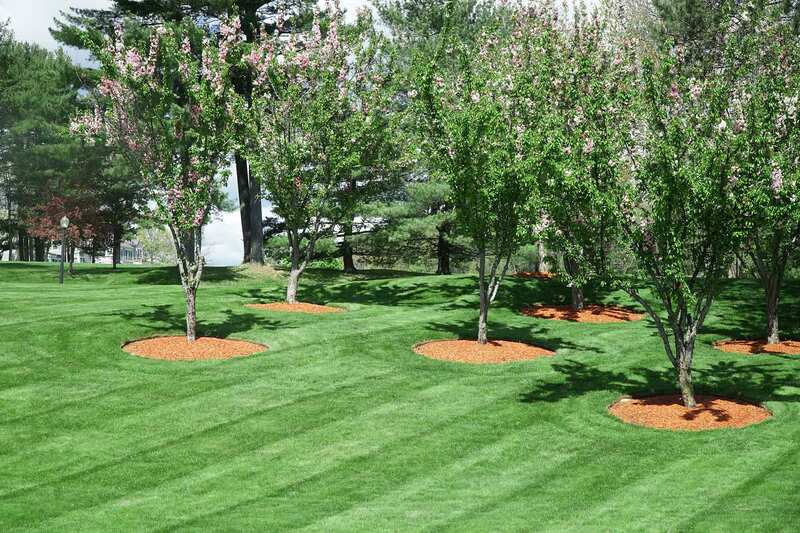 We provide expert landscaping design and build solutions that will welcome your employees and impress job applicants. Utilize our grounds maintenance team as an extension of your staff, helping your company reduce costs and time spent on landscape and weather-related maintenance. We work around your schedule and what's convenient for your company. Reinhart will maintain your worksite. We will mow, trim, edge, remove weeds and more to keep your grounds healthy and attractive. Ensure your roads, parking lots, and sidewalks are clear of snow and ice, and done so quickly and professionally.